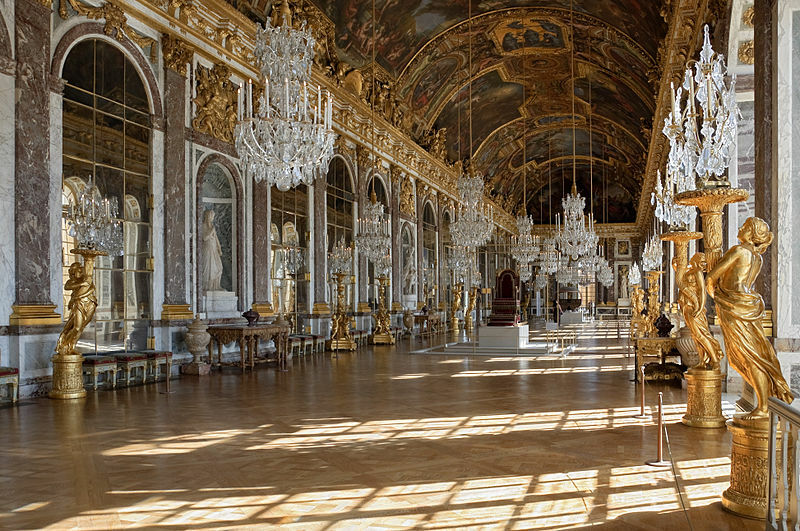 The Hall of Mirrors in the Palace of Versailles was constructed between 1678-1684. The key feature of this famous hall was the seventeen mirror-clad arches that reflected the windows that overlooked the gardens. Each arch contained twenty-one mirrors with a total number of 357 mirrors to adorn the ‘galerie des glaces.’ Outside sunlight and the garden was reflected and refracted from each arch and dispersed into the hall. At the time, mirrors were among the most expensive items to possess in the 17th century and one can only imagine how incredibly extravagant and extraordinary the hall would have been. Mirrors have long been used as an interior design strategy to give the allusion of increased space in a room and providing more light. (And it seems that most of the early 90’s were spent removing the mirrored walls that were installed in the 70’s and 80’s.) However, interior designers rarely played mirrors off of each other to create a kaleidoscope effect maybe because such a distortion of space could be unsettling and would fragment the space instead of expanding it. Recently, I have become intrigued with the idea of the house of mirrors, a space that can be multiplied and fragmented numerous times. I think the house of mirrors was a popular attraction for fairs because the space needed could be relatively small but the impact was big since it could cause much disorientation and confusion. In a house of mirrors participants can momentarily lose their sense of space and their position within that space. Artists have also used mirrors in their installations to create a labyrinth of repeated forms, a house of mirrors sort of speak. Their structures manipulate the perceptions of space and disorient the viewer and use multiple reflections to create a seamless expanding environment.